sis of the latest test trends to determine precisely what the test makers are up to these days, and a detailed outline of the concepts and question types most critical to master in these final weeks. There is also a discussion of the latest law school rankings that were conveniently leaked just minutes before recording began! You can find the episode embedded below, but make sure to subscribe/follow and rate/review on Apple Podcasts, Spotify, YouTube, or Stitcher if one of those is your preferred podcast platform! We are offering a special limited-time offer for any listeners who write a review or comment on any podcast platform. 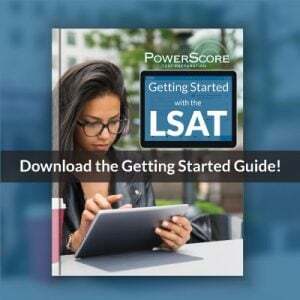 Take a screenshot of your review/comment and send it to lsatpodcast@powerscore.com and we will send you a special discount code to receive $20 off and free shipping (US and Canadian students only) for any of our 2019 LSAT Bibles and Workbooks! Offer is available until 3/31/19. Next comes the night’s rather on-the-nose, but certainly fitting, song choice: Keane’s Crystal Ball. 3:08 to 12:56: As always, there are LSAC updates to discuss, first in the form of a new Law:Fully blog on the success of LSAC’s partnership with Khan Academy to provide free, online LSAT prep materials. Dave and Jon provide their thoughts on the Khan content, both in terms of the tremendous access it’s provided to traditionally under-represented groups, as well as how test takers can best utilize the free material as a supplement to their studies. 12:57 to 24:44: The other breaking news this week in LSAC-land was a Kellye & Ken webinar on the polarizing topic of law school rankings. Guests included: Bob Morse, chief strategist for U.S. News and the head honcho when it comes to their rankings; Michael Sauder, Professor of Sociology at the University of Iowa and author of a new book on academic rankings, Engines of Anxiety; Kim Yuracko, dean of Northwestern Law; and Patricia White, dean of the University of Miami School of Law. Jon and Dave review the overall tone and tenor of the discussion, examine the main talking points and the guests’ expressed pros and cons, and give their own take on the practice of school rankings. 24:45 to 35:53: Conveniently, hot on the heels of that K&K webinar, the 2020 rankings—set to officially release on March 12th—began to slowly trickle out in the form of multiple “leaks!” So not only were Dave and Jon able to discuss the rankings system in general, but they were also able to examine the latest set and reveal specifics on how schools fared (including “specialty” rankings which compare schools based on narrow fields of study/practice, such as International Law, Tax Law, or Trial Advocacy, among quite a few others). Note: as of this recording rankings are not officially out, so at the request of US News I won’t post them or link to sites listing them. All will be revealed on 3/11. 35:54 to 38:27: Given that a March ’19 prediction was already provided in Jon and Dave’s last Crystal Ball Webinar (recorded in early November 2018), they take a moment to explain why this latest prediction discussion feels necessary. 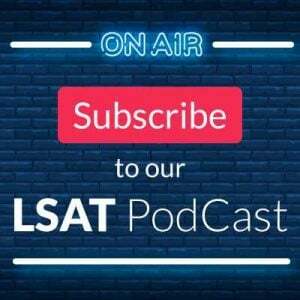 38:28 to 52:14: The first pressing March questions are addressed: will it be a new LSAT, or a reuse of a previously-administered exam (and if so, which one)? And what would each possibility looks like in terms of test composition? 52:15 to 1:03:33: With two new tests—November 18 and January 19—to consider since the last Crystal Ball discussion, talk turns to the utility of recent tests and the trends they reveal, with a particular focus on November since it is publicly available and has been thoroughly dissected for insights. Now we arrive at the individual content discussions, analyzing test maker behavior section by section. This first, brief portion covers Reading Comprehension, what we’ve seen lately, and what that implies for the next exam’s RC passages. 1:04:52 to 1:18:09: Moving on to Logic Games, Dave does a deep dive into both what’s been happening and what he’s confident will dominate this next test. For anyone worried about how to prep for LG and what to focus on, this will outline exactly where to spend your time! 1:18:10 to 1:30:23: And lastly LR, including the “Big Four” question types that, between them, have represented roughly 50% (or more) of all LR questions on the last several LSATs. The chat also includes the value to be found in knowing those types backwards and forwards (the underlying skills being tested), and the subtle variations on themes within them the past few years. 1:30:24 to 1:33:37: To wrap up the March predictions, Jon and Dave close out with a look at scoring scales, how they’ve been so successful in predicting them in the past, and why any prediction of the March scale necessarily needs to wait until after test day. 1:33:38 to 1:34:40: Thanks as always for tuning in! Be sure to subscribe, leave us a rating, and send us any questions or topics you’d like us to cover: lsatpodcast@powerscore.com. Thank you for this PodCast. I am just listerning to it. I wondered about the overall ranking of Intellectual Property Law, as the most or least taken specialty these days? Just curious? What are your thoughts, if any? Thank you . And if necessary when finish with this PodCast I will ask more questions if okay respectfully? Good afternoon, I have those questions please respectfully: The Logical Reasoning in general for assumption defender need more detail explanation and please respectfully some suggested problems to practice on? Also, Assumption negation and justify Mechanistic . That mechanistic, could it be explained further? Finally, circular reasoning and, strawman, how can i identify this please? And I am aware of what was stated in the PodCast what to concentrate on Logical reasoning, but 1 point is one point on LSAT. Thank you. Moreover, its not confusing but quite bothersome. Next: Reading comprehension, more on most likely to agree, is it the same as most strongly supported, one of those must be true questions discussed in your PodCast I was listening to today? Those questions bother me and I know I can find my answers in the passage and might have missed something need advice explanation and suggested practice problems respectfully? Also shell game and application/expansion question too, need help on explaining it more? Thanks. Also, in the question stem, primarily concern and function is that one of those concept questions and I need help as well an explanation and suggestive problems in reading comprehension on that please? Finally, the Logic Games: Maximium and minimium and again I know I need to concentrate on what was stress in this current PodCast but need an explanation and again suggestive practice problems thank you. As well need final explanations on Pure sequencing and justify and more on Mistaken reversal and negation and I do understand in theory but, having trouble applying it again maybe I am missing something. Again wonderful and informative and witty PodCast, I thoroughly enjoy it, thank you Mr. Jon and Mr. Dave. You both made a sad and boring saturday hopeful and energetic for me to take this test one more time with prayer and confidence. I give this PodCast a 5 for excellent and all the others a 5 also. Thanks and good day. i am reading that there are fewer high scorers this cycle. 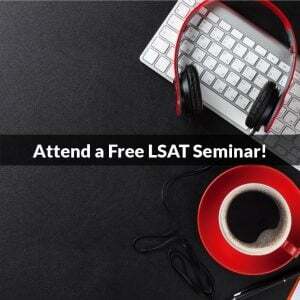 how does this impact the march lsat? would more schools hold out for it or give it more emphasis? im retaking in march. i did decently in january (around 170) but certainly dont feel as though ive attained mastery. i have gone through the bibles again and have also gone through the workbooks which have helped. unfortunately i am unable to find the question type training books and wanted to know if those are even necessary for retakers. i was thinking of splitting up pts based on type but how useful is drilling by type for a retaker with a decent background? would it be better for me to shift to pts mostly and just review my wrong answers deeply using the process you recommended in the article for retakers? my problem is mainly a high variability in my logical reasoning scores which are not concentrated around a specific type. as you recommended i am focusing on important families and groups but any advice about this would be very helpful. They are quite useful, and the downside to using PTs is that its quite difficult actually to split them up as you suggest, and it takes forever! also generally speaking, what is the value of drilling lr by type for an intermediate? dont mean to sound critical but dont the hardest questions not obey the patterns of most of the earlier oned that would be drilled? or would it be wise for me just to drill the hard ones? would this not also cause my other skills to dip? thank you for that article by the way. it is true what you say about having to explain something. it has exposed many gaps in my understanding of questions. to condense: is drilling overrated? also, has LR changed substantially over the years so as to impact the utility of doing the oldest exams? Thank you so much for the valuable information. Thank you for the transcript.